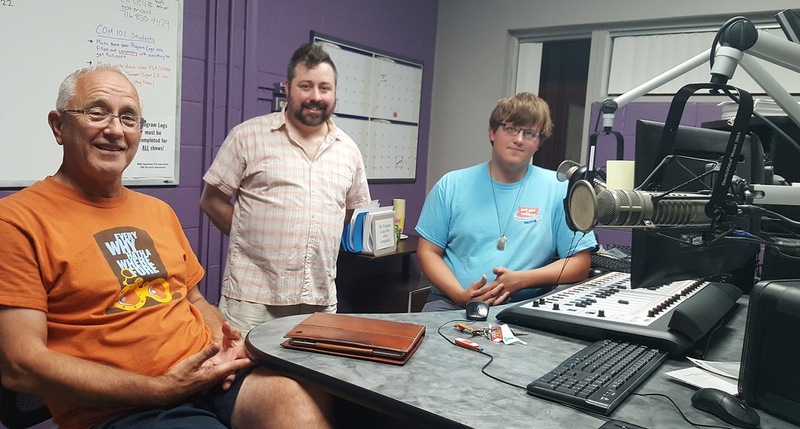 BATAVIA, N.Y. -- After just six months on the air, WGCC's (90.7 FM) new "Geezer Radio" show is steadily gaining popularity. Genesee Community College's student-run radio station, WGCC, airs "Geezer Radio" on Friday nights from 8 - 10 p.m. 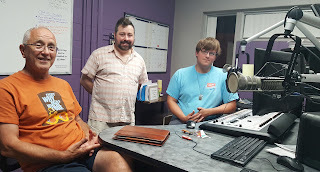 The show, hosted by 67-year-old Richard Beatty of Batavia, puts a self-described "geezer" in the sound booth with the much younger station manager, Cody Catlin of Waterport, to feature special guests and play great music. The two talented and vastly different individuals have booked some truly remarkable guests this fall. Last month, Robert Conrad, director at the Richmond Memorial Library in Batavia, was the "guest geezer." Conrad spent years both as a librarian in busy Chicago and working in big city record stores before settling in Batavia. He shared his perspective on differences between big city and small town communities, and he played some of his favorites including Prince, Cyndi Lauper, Breeders, Concrete Blonde and music from both the original and new "Twin Peaks". Assemblyman Steve Hawley will travel the radio waves this Friday, October 12, 2018. Hawley was elected to serve the 139th Assembly District in 2006. His district includes all of Genesee County; the Towns of Clarkson, Hamlin, Sweden and Riga in Monroe County; and all of Orleans County excluding the Town of Shelby. Listen in as "Geezer Radio" asks Hawley about working and communicating with upstate and downstate representatives and find out what's on Hawley's personal playlists! Most locals are used to reading Scott DeSmit's words in print, but on November 12, 2018, WGCC will air his literal voice when he joins "Geezer Radio" at 8 p.m. DeSmit is a general assignment reporter for The Daily News which serves Genesee, Wyoming and Orleans counties. While much of DeSmit's reporting focuses on crime, perpetrators and unusual events, listeners are encouraged to tune in as he talks about what motivates him to shine a light on dark topics and strange situations, and what music he uses to unwind after a piece is written and published. WGCC is a not for profit non-commercial radio station run by the students, faculty and staff of Genesee Community College. It's been on the air since 1985 and is a cherished part of the Batavia community.